The Culpeper Center is a boutique hotel and event center like no other. We host events for individuals, families, businesses, and occasionally, we throw our own event. Recently we hosted a Halloween Bash that was a huge hit; and followed it up with the best Gatsby-inspired New Year's Party in the region. We like to think of our venue as the perfect compliment to any special occasion, and we have a boutique hotel and all the necessary amenities right on site. 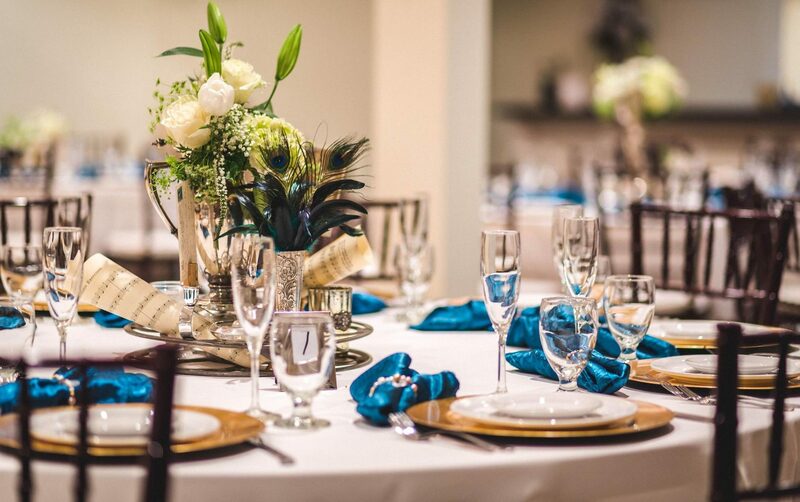 We are Culpeper's most luxurious choice for dining and hotel accommodations and we designed the Culpeper Center to make event planning simple. Our hotel accommodations are unrivaled in Culpeper, with state-of-the-art luxuries that you won't find in a chain, and our attention to even the smallest detail makes this a can't-miss hotel. We have hotel rooms that can accommodate everyone from the curious tourist to a large bridal party, and all who stay will be astonished by the level of comfort. Flavor on Main is a regional leader in affordable fine dining, and can't be more convenient to the Culpeper Center. In fact, it's on site-- meaning you can walk from your room right to your table without leaving the building! Flavor on Main has recently opened a private dining room adjacent to the restaurant. It features intimate soft lighting and luxurious appointments that become the perfect setting.